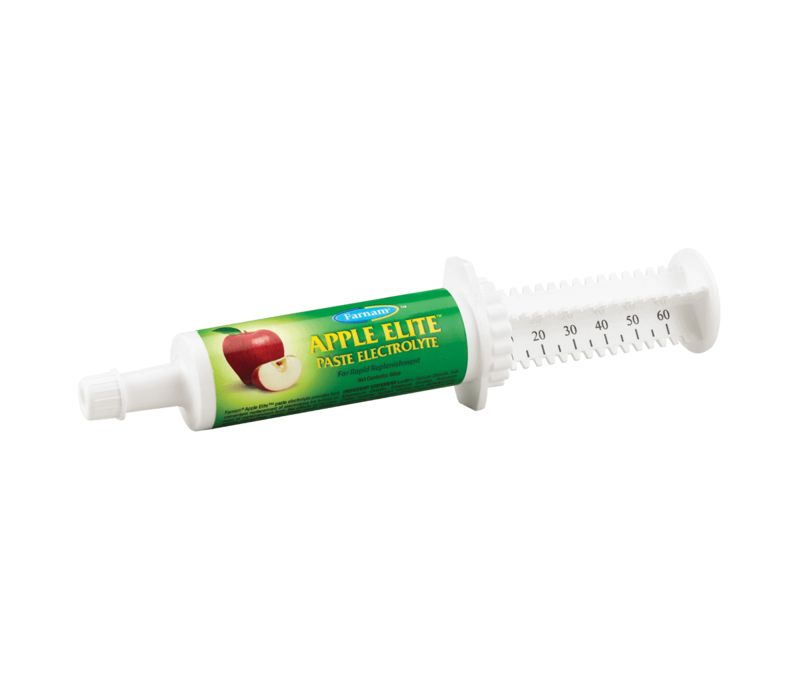 Feed the following amounts of Apple Elite™ paste electrolyte per day. Always provide access to water when using this product. May be used up to 12 hours prior to exercise or travel to help minimize electrolyte loss. Best given in approximately 20cc increments to minimize product being “dropped” from the mouth. May be given every 4-6 hours if needed. *May be given every 4 - 6 hours, if needed. Always provide access to water when using this product. May be used up to 12 hours prior to exercise or travel to help minimize electrolyte loss.